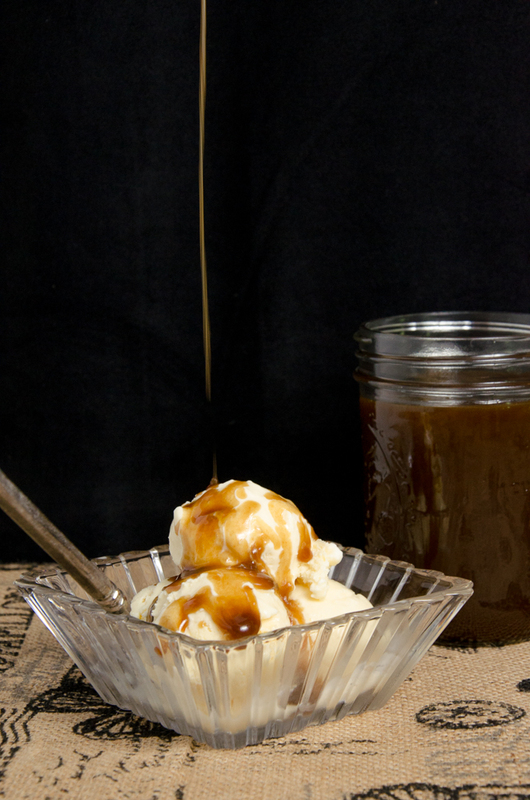 Homemade Salted Bourbon Butterscotch Sauce. Easy to make. Delicious, rich deep sweet taste with a dash of saltiness. & The Great Butterscotch Debate. The smell of simmering butterscotch. The taste: deep, rich, sweetness with just a tad of salty. Smothered over Butterscotch Blondie Cheesecake, or ice cream, or straight out of the jar. Okay, maybe I’m the only one guilty of sneaking a spoonful of butterscotch! haha. However you like it, I finally have the recipe for the perfect Homemade Salted Bourbon Butterscotch. 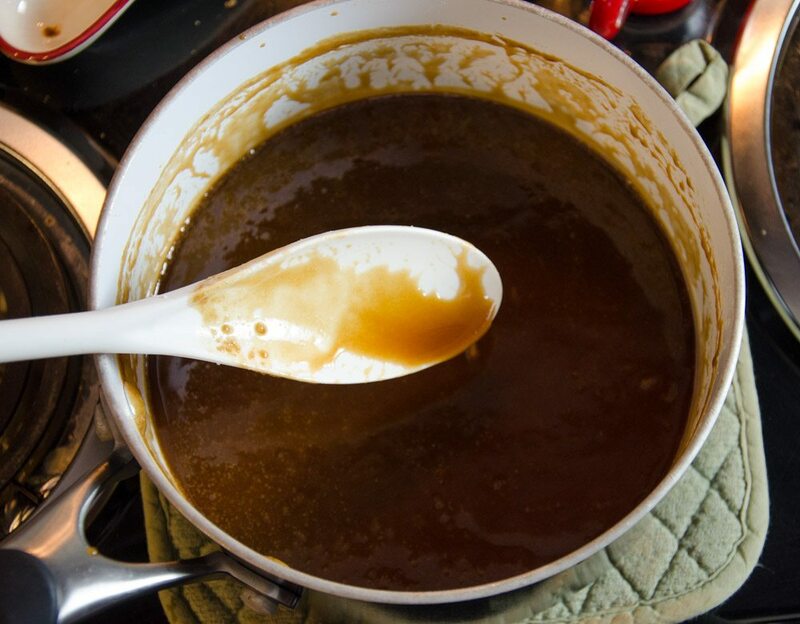 The saga of developing the perfect homemade butterscotch sauce was long. The first recipe was fairly tasteless. As was the second. So I went to the experts: Seasoned Advice and Reddit. The debate immediately started. Despite its name, butterscotch does NOT include scotch. The scotch part is either: a reference to Scotland, where it might have originated. OR a derivative of the word ‘scorched’ butter. Now that we know that scotch is not an ingredient, we are left with: what does proper butterscotch consist of? 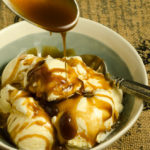 The first class of individuals claim butterscotch is only “pure” when it is simply butter and dark brown sugar (melted correctly into a sauce, of course). The problem with this approach is that it just tastes like butter and sugar. Sweet…but hardly newsworthy. The second group believes you can add vanilla and sea salt. That’s good because they’re vital for having a taste that goes beyond “basic sweetness”. It was the final group that gave the key. The third group believes as long as you start with butterscotch base, you’re dealing with butterscotch- and add bourbon or other flavoring notes (such as vanilla or salt). But bourbon and dark corn syrup were the magic key. The ingredients are key to this recipe. I went through a lot of testing. Some were taste-tested and then dumped down the drain because they were so bland. Others were heartily enjoyed…but deemed not quite perfect. 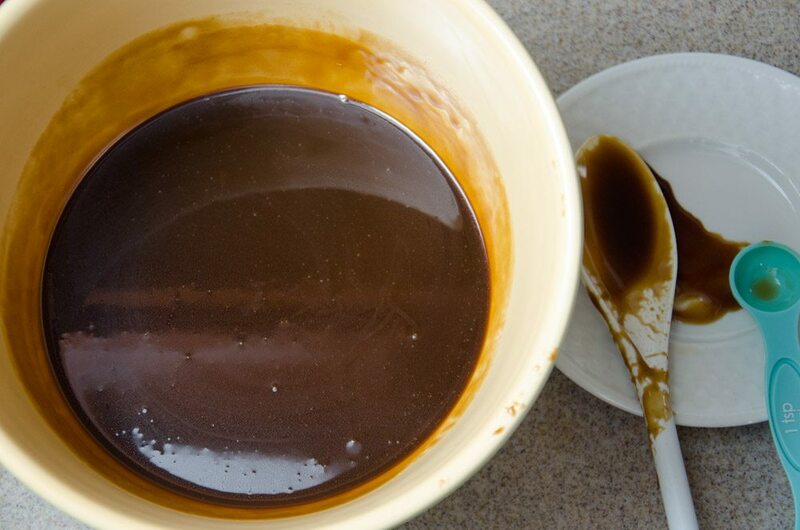 Butter & dark brown sugar- required for all butterscotch. If you mess with either one of these, you’re not dealing with butterscotch anymore. Heavy cream- don’t substitute milk. 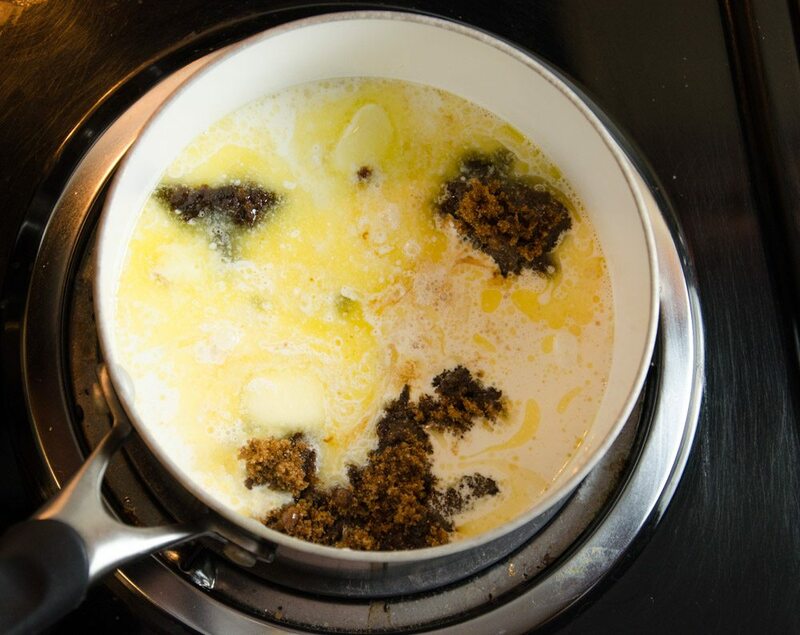 You need the fat from the heavy cream for a rich flavor. (See “Ingredients Matter: Diary Products” for more information). Dark corn syrup- this ingredient is vital despite its small amount. For some reason, every batch without it was either too thin or too grainy. It was either chemistry or magic. I’m voting for magic (haha). If you have light corn syrup, you can substitute it but note it’s going to affect the flavor. Light corn syrup has a vanilla flavor, dark has a molasses. That’s a big difference in flavor especially for something as subtle as butterscotch. Bourbon- this is one ingredient that is optional. It tastes pretty good without it. The bourbon just adds a depth of flavor that is nice. 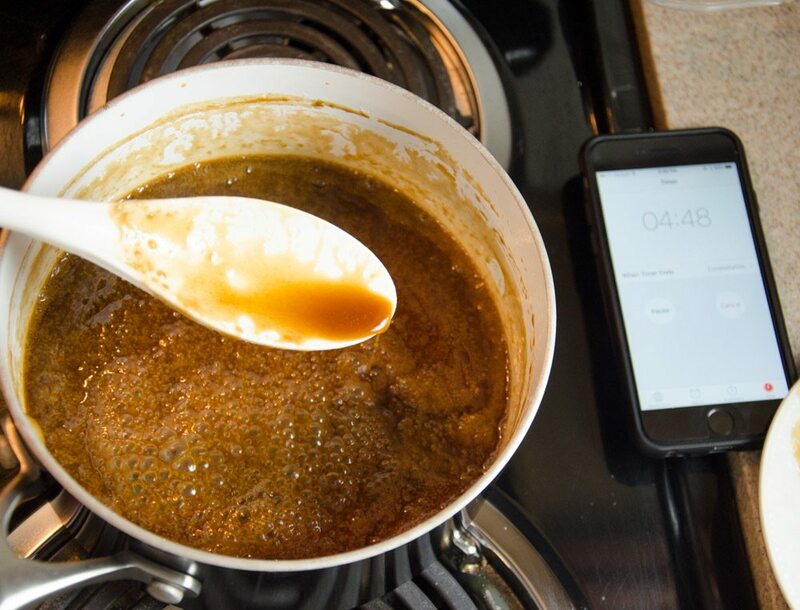 Don’t worry about the alcohol…when you add it to the hot butterscotch, the alcohol is going to burn off. You’ll see it sizzle and can smell the alcohol burn. Vanilla & salt- you can use sea salt or regular salt. In a medium saucepan, heat dark brown sugar, heavy cream, butter, and dark corn syrup. Bring to a boil. It will get very bubbly. Lower heat and simmer, stirring every 1-2 minutes. Do NOT stir constantly, even though it feels like you should. 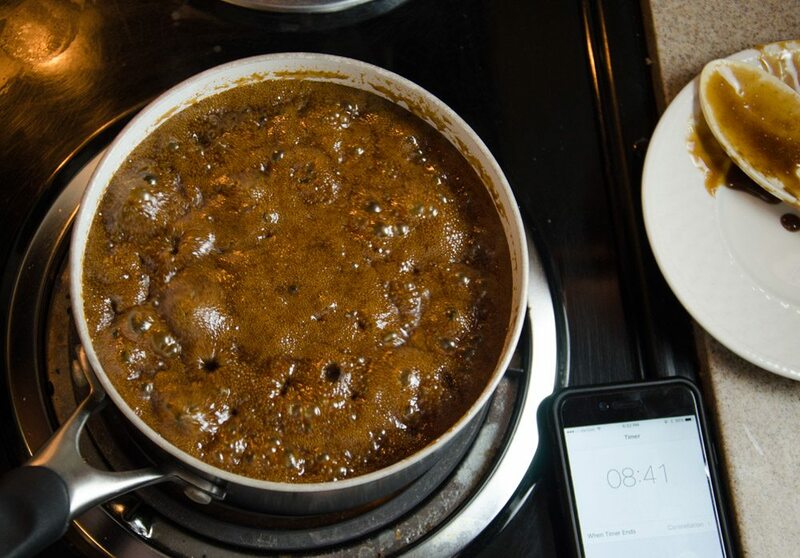 Remove slightly from heat if it boils too vigorously. Stir in bourbon (it will bubble and foam!). Stir in vanilla and salt. Easy to make. Delicious, rich deep sweet taste with a dash of saltiness. 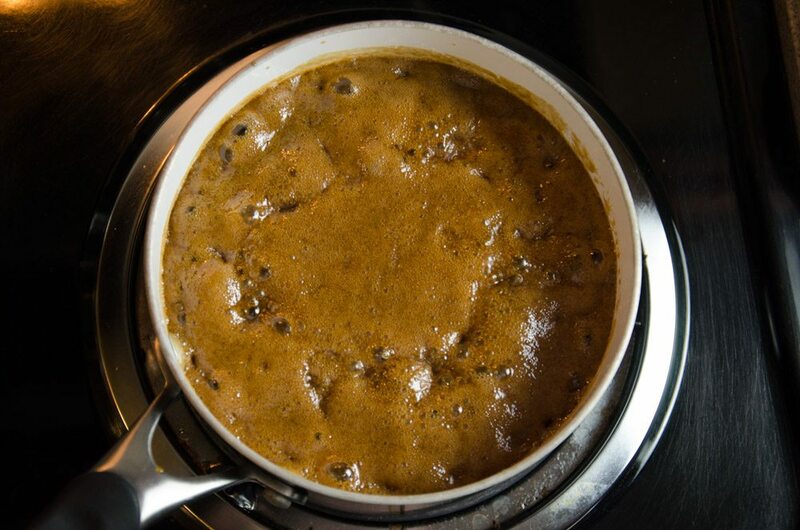 In a medium saucepan, heat dark brown sugar, heavy cream, butter, and dark corn syrup over medium heat. Bring to a boil. It will get very bubbly. Lower heat and simmer gently for 10 minutes, stirring every 1-2 minutes. Do NOT stir constantly. If needed, lift pan off burner if it simmers too hard. After 10 minutes, spoon a bit of sauce on a plate. Press spoon against sauce and scrape to make sure there is no graininess. Remove from heat and stir in bourbon. It will bubble and foam. Keep stirring and let alcohol burn off. Stir in vanilla and a large pinch of salt. Taste-test. Add more salt if desired. • It goes against every instinct to just let sugar simmer without stirring. Despite this, resist! • Store in refrigerator up to 1 week. I hope you enjoy this sauce. I suffered through bad butterscotch to find it. And heartily enjoyed a few more before I found the perfect recipe! 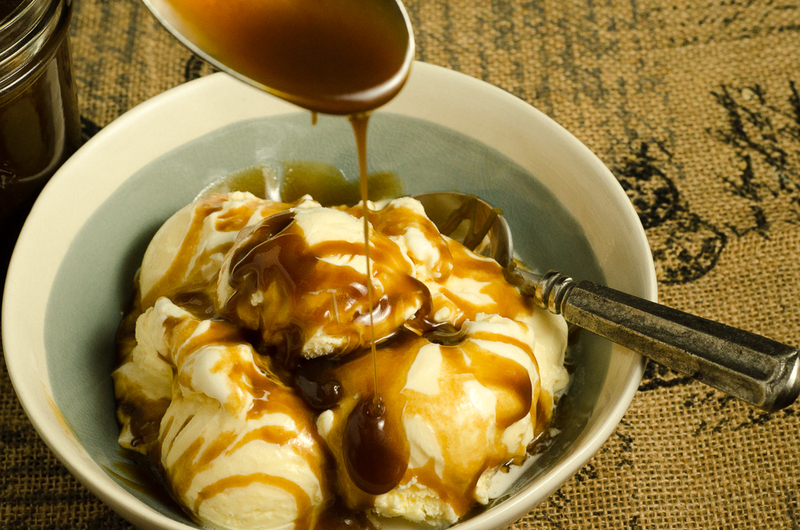 Now that you know about the great debate about butterscotch, which camp do you fall into? The purist? The “can have one additional ingredient”? Or the “add what you need to make it fabulous” camp? Cranberry Vanilla Coke-tail Plus Free Christmas Table Printables! This looks so yummy!!! Pinning for later! Thanks! Glad you liked. It is yummy. I promise. 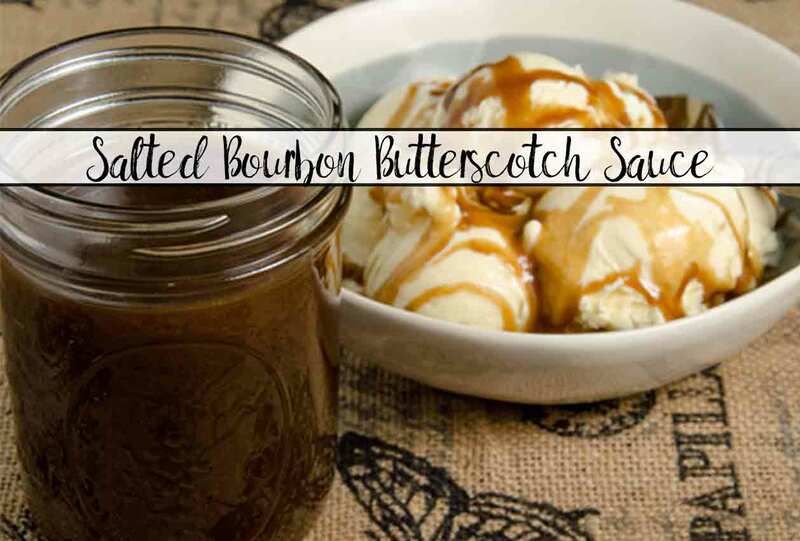 This Salted Caramel Bourbon Sauce looks yummy! And, it doesn’t look difficult to make! Got to try!!! It isn’t! Just make sure you let it simmer without the constant stirring. It goes so against my grain to just let a sugar mixture bubble without constant attention.